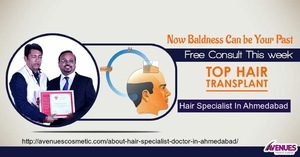 For best hair transplantation you must visit renowned Hair Specialist in Ahmedabad, Kinnar Kapadia who is known for his incredible skills and experience. He has changed the world of hair loss treatment by bringing in many new techniques and technology. He is gold medalist in plastic surgery.